Founded by experienced bankruptcy attorney, Todd L. Turoci, our law firm has grown to become one of the region's leading bankruptcy practices with four office locations throughout Southern California. As a former deputy district attorney and judge pro tem, Mr. Turoci has the legal experience necessary to deliver swift and effective solutions to your financial problems, saving you both time and money, and reducing the amount of stress you are likely already facing. No matter the reason for your current financial situation, you do not have to suffer alone. 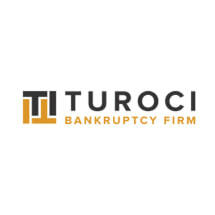 The Turoci Bankruptcy Firm is here and ready to be the legal ally you need to get your life back on track. For more information about how we can best serve you, you can contact our law firm to schedule a free initial consultation.